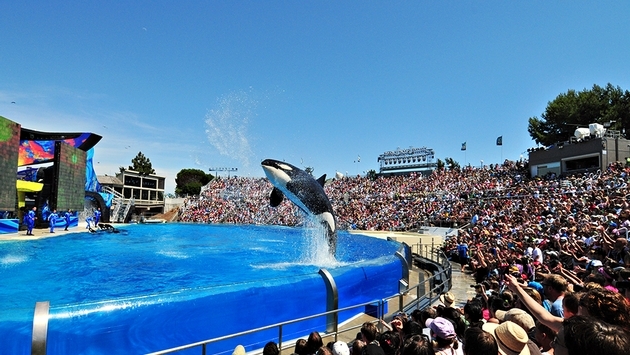 Good news for SeaWorld Entertainment, as the controversy over a damning documentary had a lesser effect on the company’s bottom line than analysts expected. The company released their full year and fourth quarter 2013 results Thursday. The loss of 13 cents per share in the fourth quarter was smaller than the 14-cent drop that top Wall Street analysts projected. Sales rose by 3.3 percent to $272 million, but the net loss for the quarter went up to $13.5 million (15 cents per share) compared with $8.8 million (11 cents) last year. SeaWorld has been battling a wave of negative publicity since the CNN airing of the documentary “Blackfish” about the 2010 death of Dawn Brancheau, a SeaWorld Orlando orca trainer. The film and the animal-rights uproar that followed led to a celebrity backlash, as entertainers like Willie Nelson decided to cancel concerts at the parks. Attendance at the park actually improved in the fourth quarter compared to the rest of the year. Attendance was down 1.4 percent in the fourth quarter year-over-year, compared to 3.6 percent in the third quarter and a 5.7 percent decline for the first half of the year. Other positive signs included a 4.3 percent admissions per capita increase and 5.7 percent in-park per capita spending increase in the fourth quarter. The company’s 2013 revenues were up $36.5 million, or 3 percent, over 2012 – largely attributed to ticket price increases and increased in-park offerings. SeaWorld stock is up Friday after the results announcement, standing at $31.78 midday – up close to 10 percent for the year.